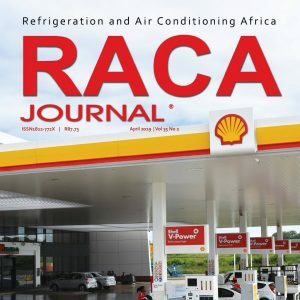 Parsons & Lumsden is proud to have been featured in the April edition of the Refrigeration and Air Conditioning Africa (RACA) Journal for our involvement in the Cornubia Filling Station. "The new multi-use Shell filling station in Cornubia has raised the bar for projects of this kind, opting for a very efficient chilled-water ice storage HVAC system. The Cornubia site is adjacent to Umhlanga, north of Durban, and is a mixed-use development comprising residential, commercial, and industrial sites. The area was previously earmarked for development and, since 2011, has seen exponential growth. One of the recent additions to this precinct is the Cornubia filling station, which is operated by United African Group. This development started its design journey in May 2017 and the building was completed in November 2018." Error: Error validating access token: Session has expired on Saturday, 13-Apr-19 02:00:32 PDT. The current time is Thursday, 18-Apr-19 05:58:26 PDT.